This week, Stitches and The Game went at it via Instagram after the former called out the Compton, California rapper over his gang ties. Elsewhere, Bobby Shmurda’s trial date got pushed back to February 22, 2016 and lastly, 50 Cent once again mocked Puff Daddy over his association and involvement with rival vodka brand, CÎROC. 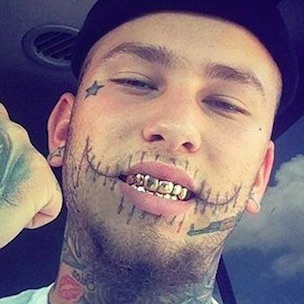 Miami, Florida rapper Stitches took aim at The Game earlier this week by questioning the Compton rapper’s gang ties. Throughout his career, The Game has been open and public about his affiliation with the Blood gang. Stitches later posted a series of images that featured alleged direct messages between The Game and himself. The Game subsequently replied via Instagram claiming that the aforementioned direct messages were fake. The Game continued his message in the aforementioned Instagram post’s caption field. Bobby Shmurda was set to start his trial earlier this week (October 5) following his December 2014 arrest on weapons and murder charges. However, his trial has now reportedly been pushed back to February 22, 2016. Shmurda’s new lawyer, Alex Spiro, asked for his client to be released but Judge James Burke denied the request. 50 Cent once again took a jab at Puff Daddy over his stake and involvement with CÎROC, a rival liquor company to the 50 Cent-endorsed vodka brand, EFFEN. The G-Unit frontman uploaded a video to Instagram that showed a line of people waiting outside a liquor store to meet him. “You know they don’t do that for Puffy,” 50 Cent said in the clip.